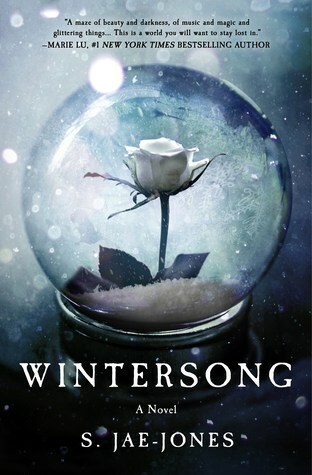 This book was kind of like Wintersong by S. Jae-Jones, except the fact that the main character is a huntress, and not a normal-poor girl(Feyre is poor, but, you get the point). This book is about Feyre who is a huntress, and she kills a wolf(which turns out to be a faerie) and her fate is to live the rest of her days in Fae. During her stay, her icy attitude towards the High Lord quickly diminishes into flames of passion. War is raging in Fae, and the High Lord wishes to protect Feyre as much as he can before she finds out the truth. The Night Court of Fae overtook Tamlin's Court, imprisoning him Under the Mountain. Feyre heard of Tamlin's imprisonment, and quickly came for his aid. The High Lady of the Night Court put Feyre under three tasks and a riddle in order to win Tamlin back. Feyre had to show the High Lady that her love was strong enough to win Tamlin who was in payment in due of a curse(Talk about #GirlPower). I think this book was really good. I could tell that Sarah J. Maas wrote it, and she does a good job of writing the main character as a girl. A pretty great one at that. The only things that alerts me is some of the scenes in the book has a bit 'this-is-for-older-kids' content, and some cursing. Other than those two things, the story itself is amazing. Like I said earlier, I think that this book was written for young adults, and not for kids(even I am not one). Teens who enjoy awesome stories about unconditional love, and supreme action, would definitely adore this story like I do. Clara, Christian, and Angela all move to California to start college. They all are having visions again and must work together to understand them and fight the evil that follows. Boundless, the last book of the Unearthly series, was a gripping tale of family, love, and destiny. It was filled with so many very difficult challenges which never really had a correct answer so it always kept you on your toes. If you like supernatural stories and romances then you would love this book. It was enchanting and very exciting. The plot of this novel is set before the events of The Lord of the Rings trilogy. This book follows the journey of Bilbo Baggins, a hobbit who favors the comfort of his home, and 13 dwarves whom Bilbo accompanies. The group's goal is to pass through the dangerous terrains and creatures of the Misty Mountains, and eventually reclaim their authority of the Lonely Mountains from the dragon Smaug. The first few chapters of the book is pretty slow, but I've noticed that most of J.R.R Tolkien's books start off like that. You just have to get through those parts because eventually, you get sucked into the story. I really liked how Bilbo Baggins' character developed throughout his journey. At first, he came off as a pretentious creature who had too many fears to be of actual help to the dwarves. However, it was very interesting to see his better qualities such as tenacity, dexterity, and humility show through as he traveled and fought together with his dwarf companions. I would recommend this book to people who like fantasy novels. Everything in The Hobbit as well as The Lord of the Rings is from Tolkien's imagination. He writes about dwarves, elves, goblins, and other fascinating creatures. I think that the language may be a little hard for some to understand, but I think the way Tolkien used Bilbo's character development to illustrate motifs and themes was great. Even though this may have been just another fiction with a tale of an adventure to others, to me, it was a story that taught me to get out of my comfort zone and enjoy all of the things (good or bad) that life has to offer. So. Good. This book is about Catherine Pinkerton, the future Queen of Hearts! Why is she so cruel? What made her say "Off with your head" in the first place? Find out in this twisted, gripping tale. . . It was amazing! You really dip into the dream of a bakery for Catherine. And the real story behind the Jabberwocky! Interesting pumpkins, daring jokers, heartbreaking scenes, and scenario's that make you go "Oh! I remember that!" or "Eureka!" Wintersong is about this girl named Liesl. But the Goblin King only knows her by her other name which is Elisabeth. This story is a bit of a coming-of-age story. It has the heat of passion burning in this story. It was average. She sacrifices herself to save her sisters life, and is trapped in the Underground until she passes away. She is kept with the Goblin King unless he decides to free her into the human world. I would recommend this book to those who like the feeling of the flames of passion and music, and those who enjoy a simple 'once upon a time' story written for teens. Scarlet Benoit is a young, spit-fire farm girl living in Rieux, France on a farm with her grandmother. . . . Until she goes missing. As Scarlet madly scrambles to find her grandmother, she meets a shy street fighter named Wolf, who might be able to help her in her search. But Wolf seems to have a dark, secret past . . . a past that could put both Scarlet and Wolf in terrible danger. 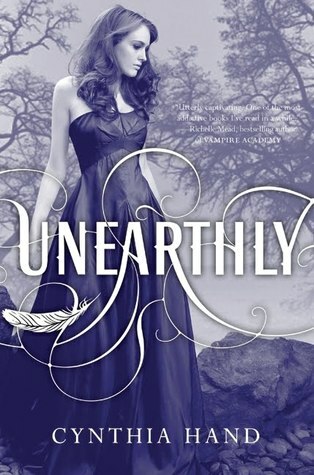 I really enjoyed this book because it was filled with mystery, danger, a twist of romance, and a hint of horror in some parts. It was really interesting to see two different people--a shy street fighter and a fiery farm girl--slowly fall in love while at the same time trying to battle illusions and the past. 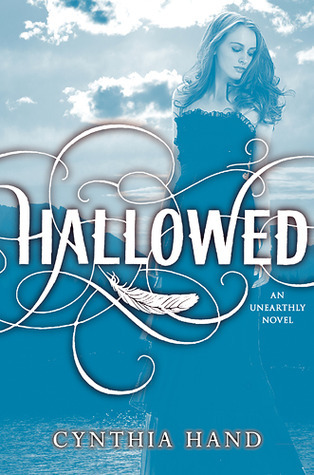 I also enjoyed how it didn't have too much romance (some romance in other books is really sappy and bleh). For those who enjoy a clean, exciting, fast-paced read with spit-fire girls and compelling mysteries, this is a really good book to look in to. If you like a lot of romance, this book isn't for you, but if you like a twist of it, then I suggest you try out Scarlet. The mysteries are really good ones in this book, too. You can tell it is really important as you get more hints and suspicions, but you don't get all the answers until the end.